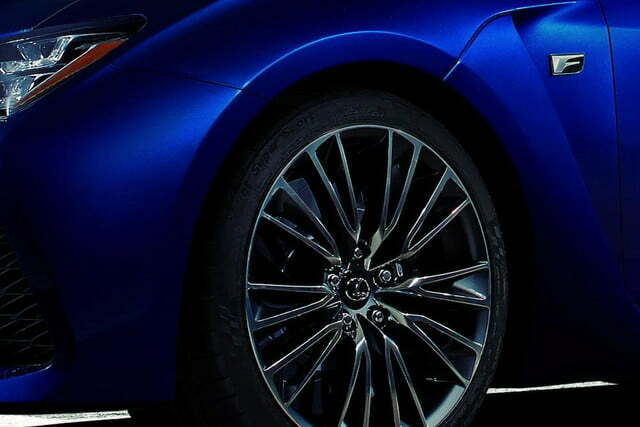 The 2015 Lexus RC F coupe isn’t supposed to be unveiled until the 2014 Detroit Auto Show next week, but apparently neither Lexus or Road & Track can keep a secret. 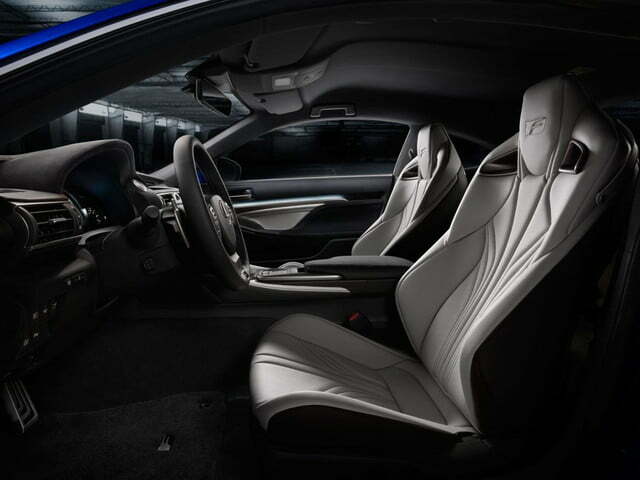 After the magazine revealed the first photos and details of the RC F–a performance version of the RC coupe that debuted back in November at the 2013 Tokyo Motor Show, and is itself based on the IS sedan–Lexus decided to let the cat out of the bag. 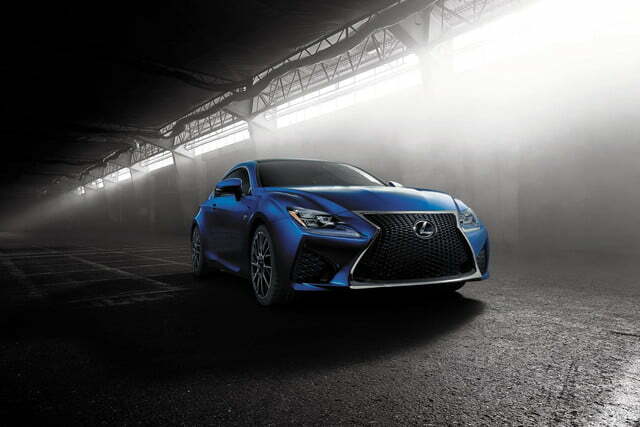 Under the hood is a modified version of the IS F’s 5.0-liter V8, mated to the same eight-speed automatic transmission used in that car and other Lexus models. 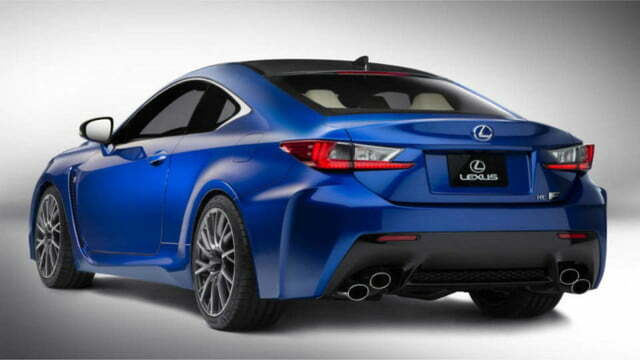 That gives the RC F horsepower bragging rights over the BMW M4. Also making its official debut at Detroit, the M4 will likely be the Lexus’ chief rival. 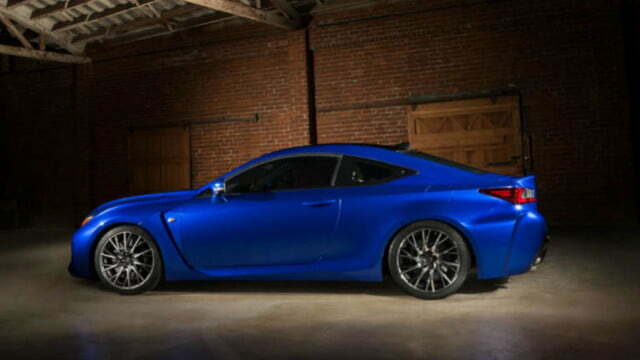 The RC F gets extroverted looks to match its expected horsepower rating. 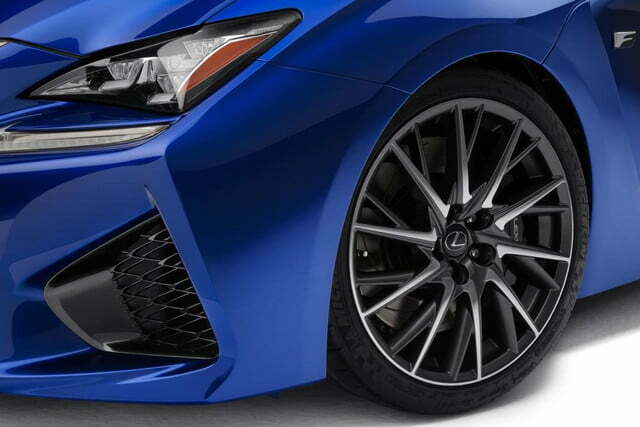 As with the base RC and IS, the styling is an assault of angular lines and slashes, topped by a angry-looking headlights, and a version of Lexus’ trademark “spindle grille” that looks ready to swallow a Fiat. 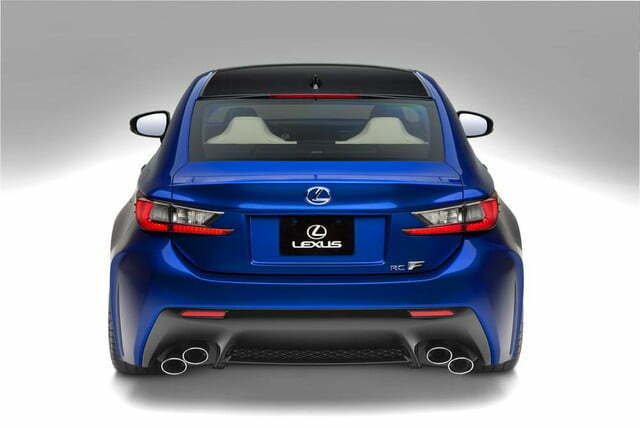 On top of that, Lexus added swollen fenders and stacked quad exhaust outlets; cues taken from the IS F sedan this car will replace. 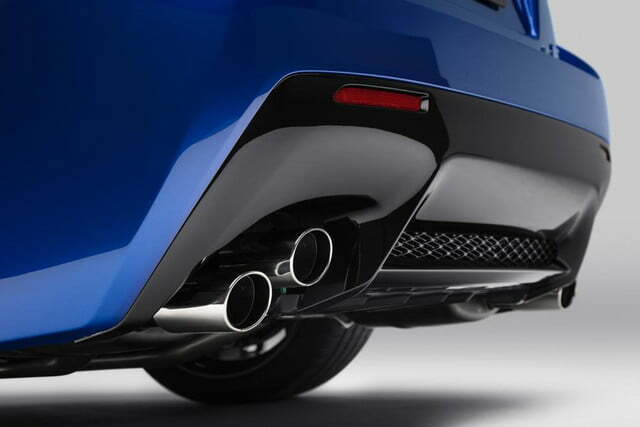 There’s also an optional speed-sensitive rear spoiler that rises at speeds above 50 mph and retracts at speeds below 25 mph. 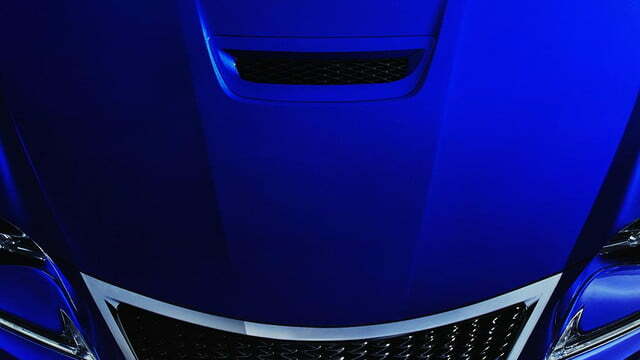 The RC F also features a Torque Vectoring Differential (TVD) with three modes: Standard, Slalom, and Track. Hopefully this will give this Lexus the agility necessary to match the finely-tuned hot rods from German luxury carmakers. 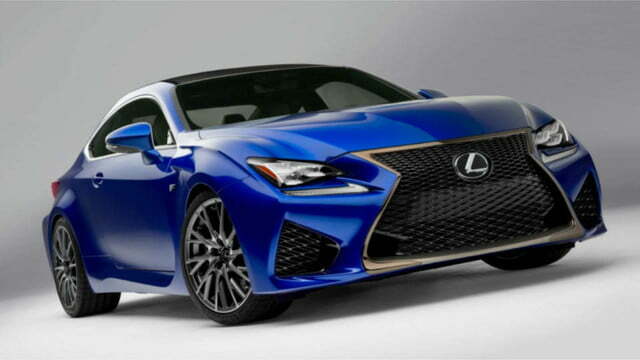 While the RC F isn’t as classically pretty as its German rivals, it’s styling befits a rambunctious performance car. 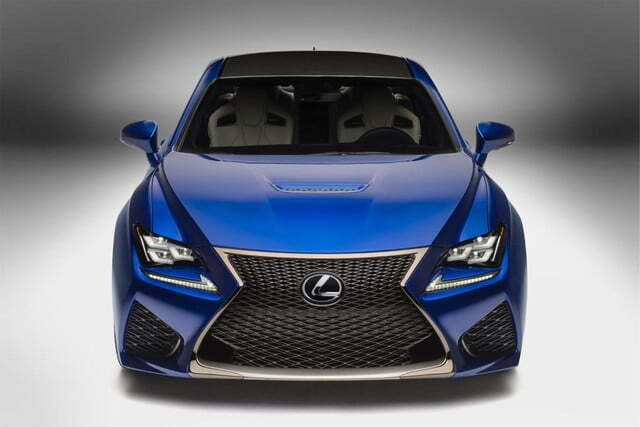 It also casts Lexus’ reputation for boring country-club chariots further into the past. UPDATE: We added new photos released by Lexus and a few details following the car’s Detroit debut, including info on that nifty rear spoiler, TVD, and the RC F’s V8 engine.